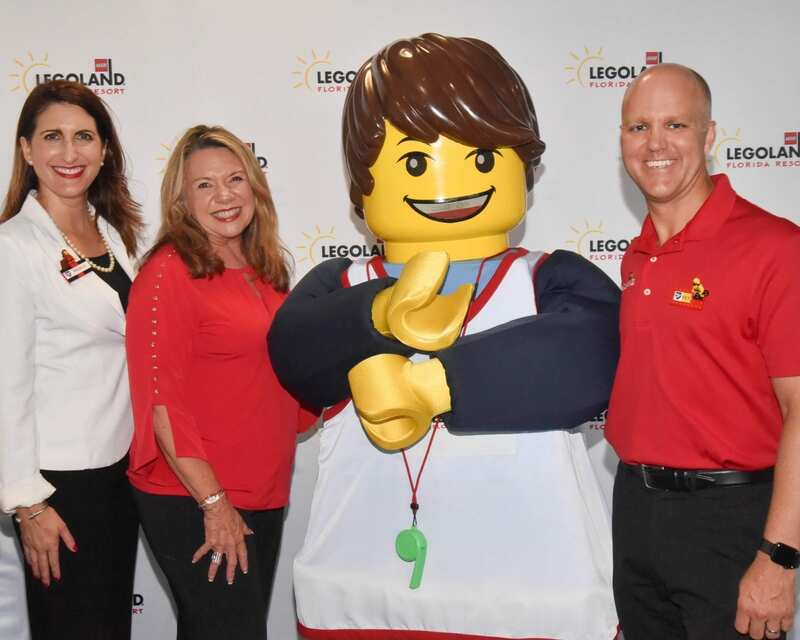 LEGOLAND Florida Resort has launched the Polk State College Network for employees who are Polk State students and alumni to create connections, foster mentorship, and further enhance the strong partnership between Polk County’s premier theme park and local state college. 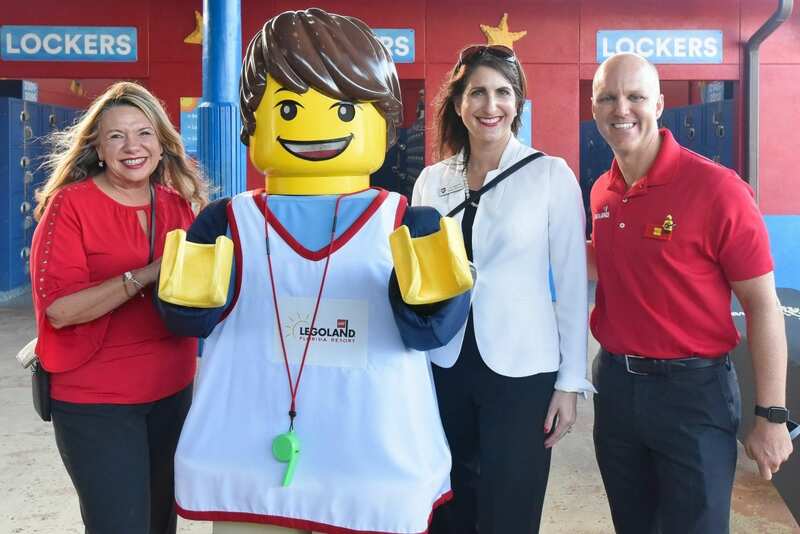 LEGOLAND Florida Resort General Manager Rex Jackson and Polk State College President Angela Garcia Falconetti invited Model Citizens (LEGOLAND employees) to kick off the initiative Oct. 4 at the LEGOLAND Water Park, where employees were presented with LEGO Polk State shields for their brick badges to signify that they are students or alumni. 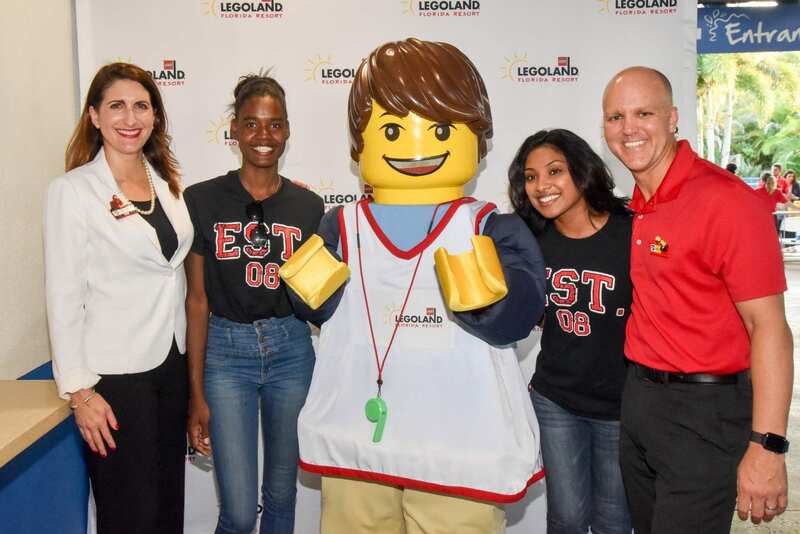 “There is a large number of LEGOLAND Florida Resort employees with a connection to Polk State, and we want to recognize and celebrate those connections as well as encourage education for all of our Model Citizens,” Jackson explained. 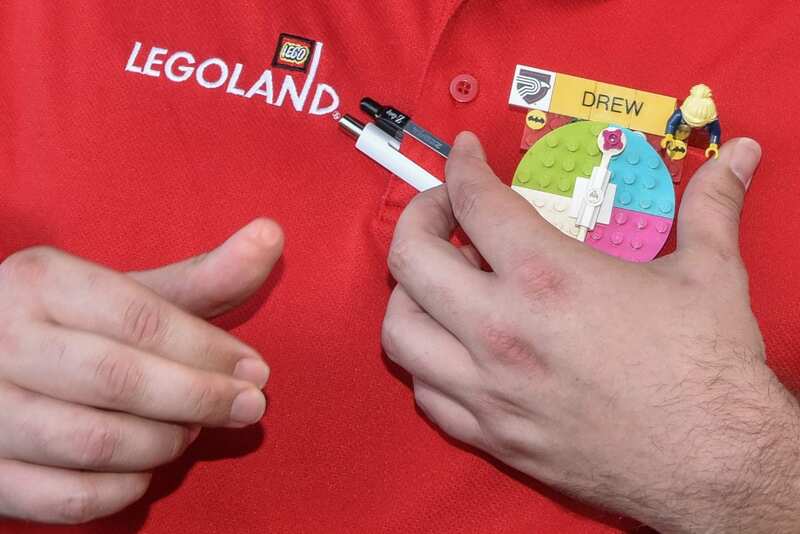 Of the theme park’s 1,800 employees, more than 100 identify as Polk State students or alumni. 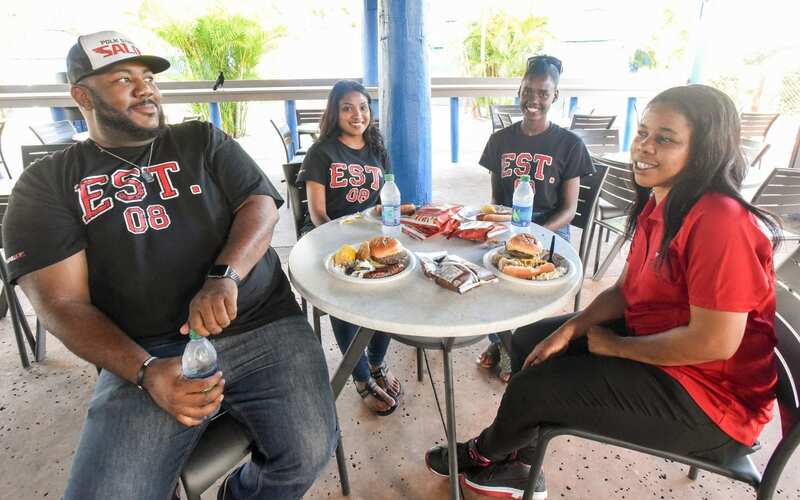 The Polk State College Network will bring these employees together for regular events similar to Oct. 4’s Appreciation BBQ to celebrate the launch of the initiative. 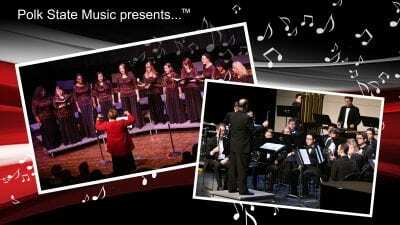 For Jackson, the reason for creating the Polk State College Network is twofold. 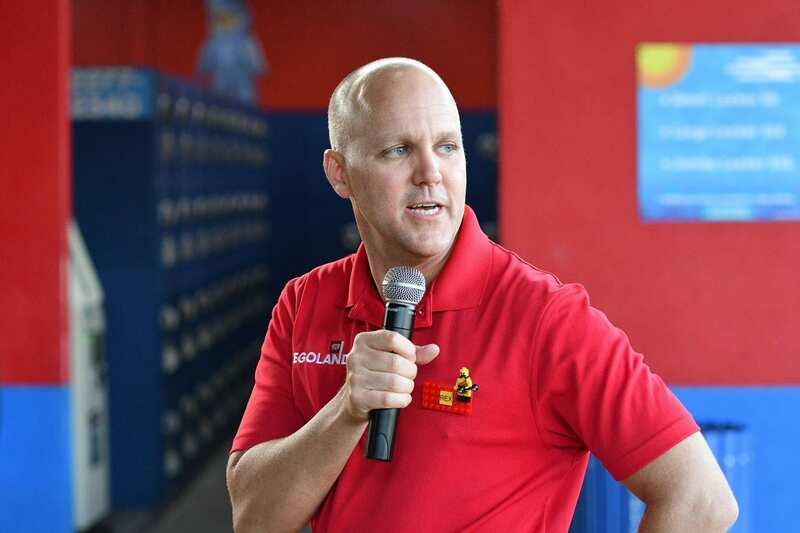 He pointed to the average age of Polk State’s student – 24.8 – and the number of students who are enrolled part time – 75 percent. 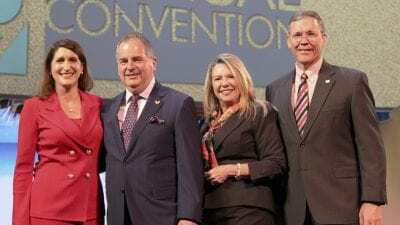 Launching the Polk State College Network is also a business decision, he added. 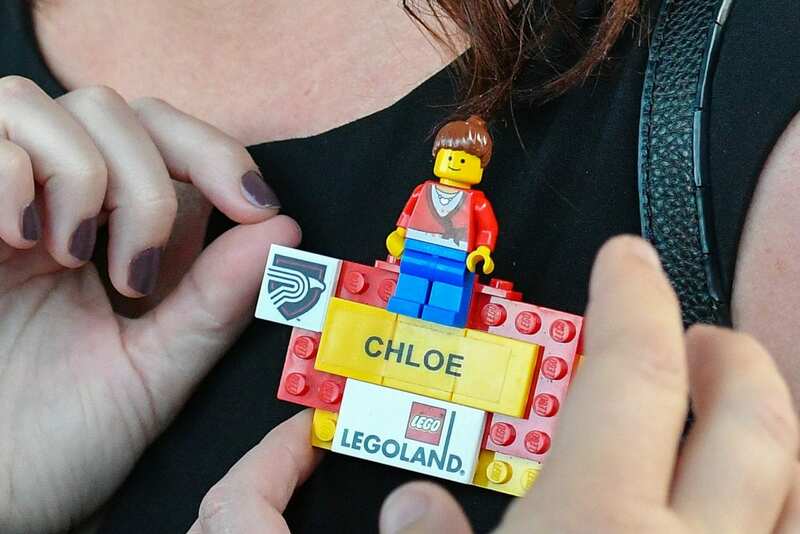 Chloe Boehm, a LEGOLAND Florida Resort Public Relations Executive who received a Polk State Associate in Arts degree in 2012, called the network a valuable opportunity for LEGOLAND Florida Resort employees. 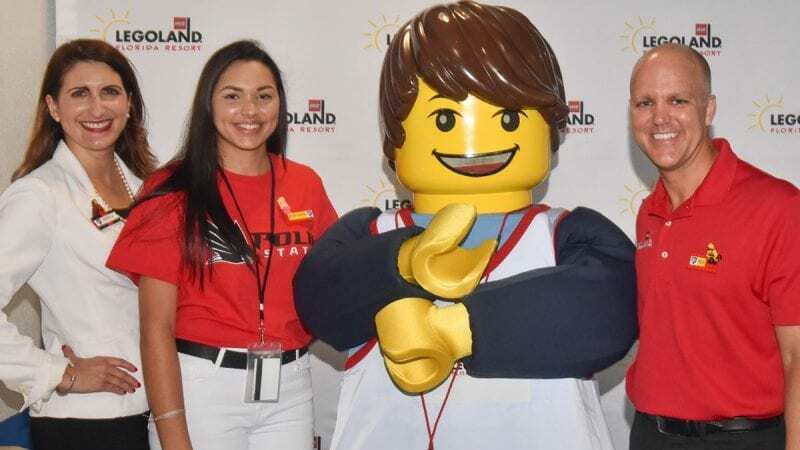 The College and LEGOLAND Florida Resort have enjoyed a longstanding partnership that includes the Polk State College LEGOLAND Florida Resort Internship. 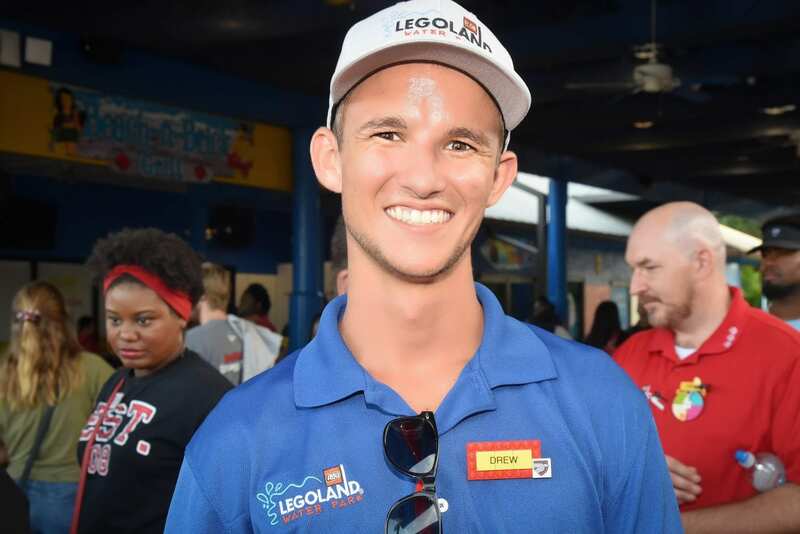 More than 50 students have participated in the internship, providing them with opportunities to serve in a variety of roles and locations across the park, to develop projects and presentations for park executives, and to receive college credit and pay for their participation. 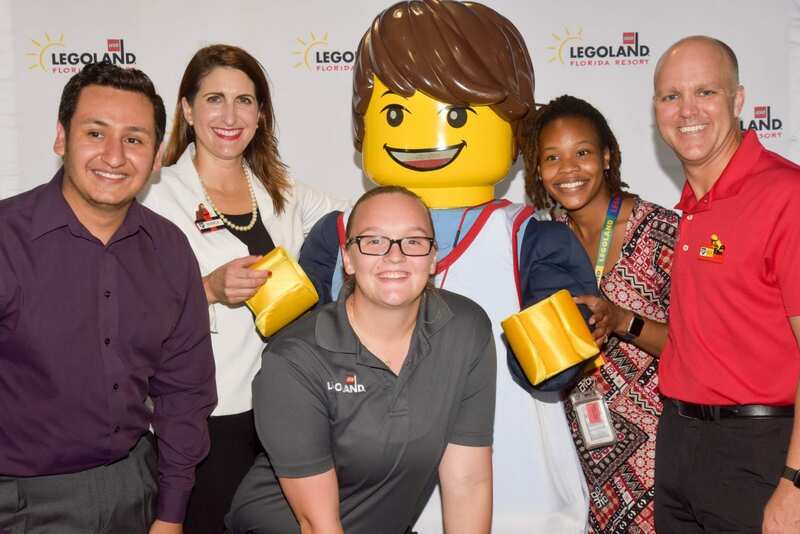 Polk State’s partnership with LEGOLAND Florida Resort exemplifies everything that the College strives to achieve: to provide students with hands-on, practical learning experiences, and to work with local employers to develop job-ready employees. 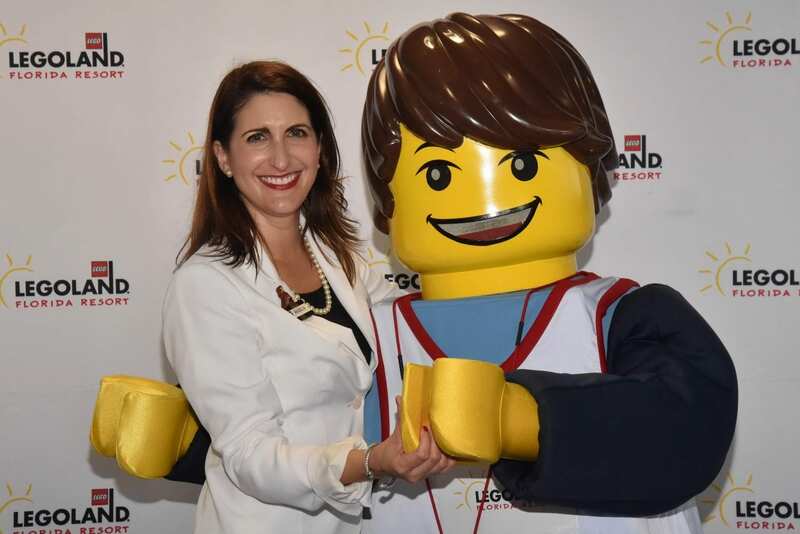 During the Oct. 4 event, Jackson gifted Falconetti with a LEGOLAND Florida Resort brick badge with her own personalized LEGO character. 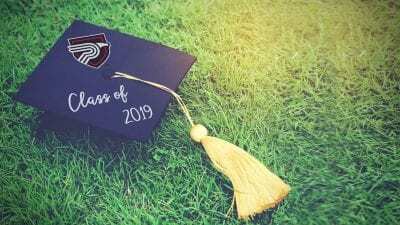 In return, Falconetti presented Jackson with an Eagle Feather pin, reserved for supporters of the College who symbolize strength, courage, and leadership. 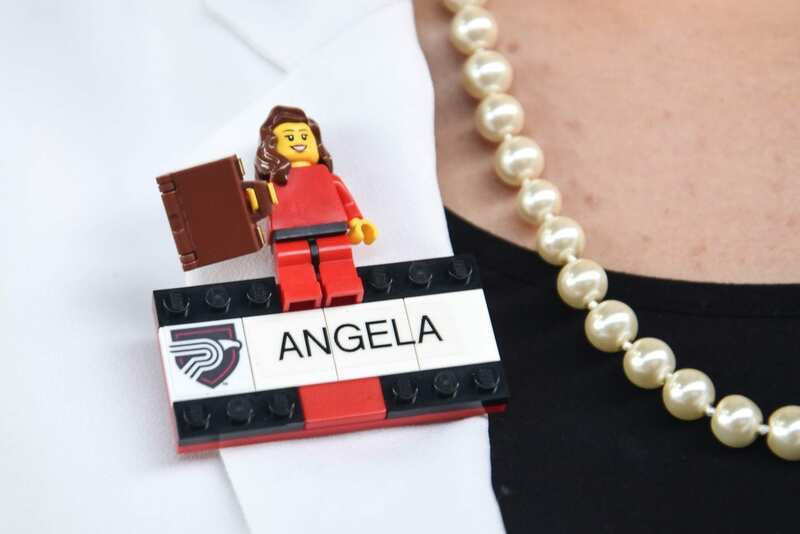 She also named Jackson an honorary Polk State alum.